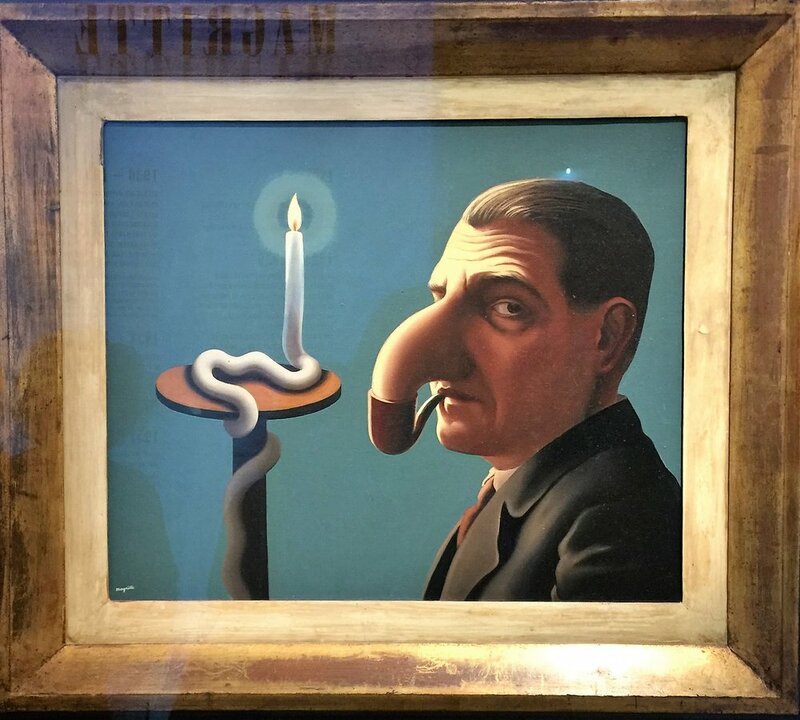 After the Second World War, the center of the art world moved from Paris to New York, but that doesn’t mean that all the spectacular museums that already existed, plus the ones that were to come, wouldn’t amass incredible collections and put together fantastic shows to delight Parisians and visitors from all over the world. Not to mention the establishment of galleries and exhibition spaces that are housed in idyllic settings of French renaissance architecture, such as the 17th century Hôtel Particulier (as is with the case of Galerie Perrotin’s newest space) or the stunning building of La Monnaie de Paris, which was commissioned by Louis XV and finished in 1775. While in Paris this past week, I saw 23 shows in 5 days, and although I travel to Paris every year, I must confess this time I was especially blown away by all that I saw. 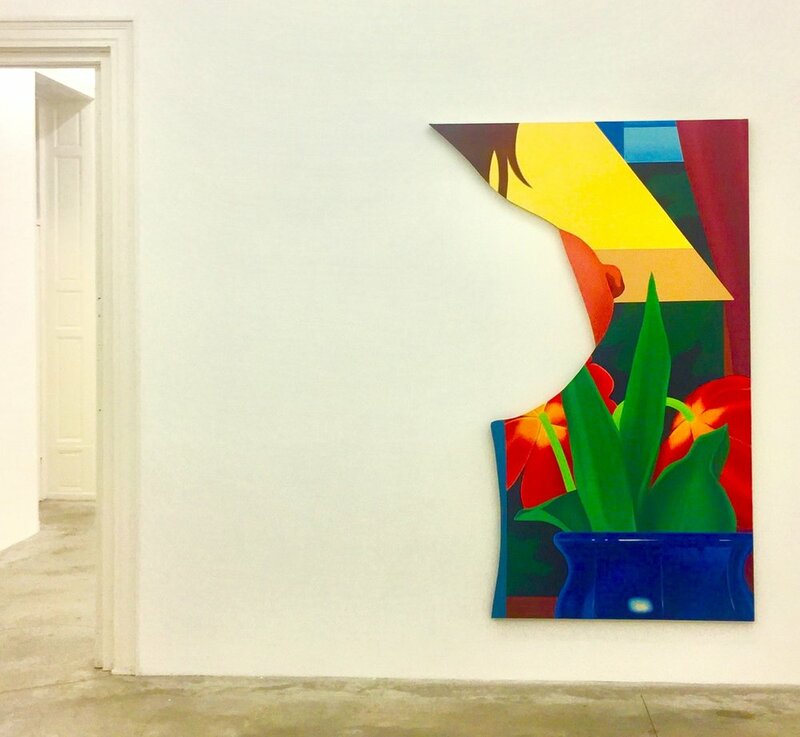 (1) On the gallery realm, Almine Rech Gallery is hosting an exhibition of historical artworks by Tom Wesselmann, inspired by the artist’s 1970 exhibition at Sidney Janis Gallery in New York. 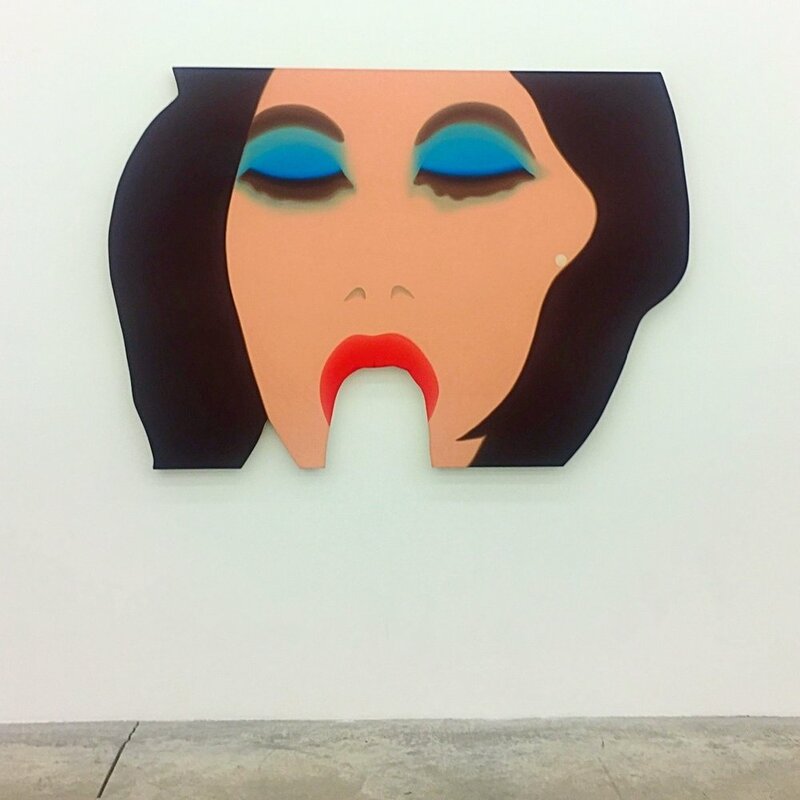 I absolutely love the sexuality of Wesselmann’s work. He was unapologetic, ahead of his time, knew how to create the most saturated and exciting color combinations, and was a master of collage who introduced the most daring cut-outs and layered pieces that the 70s and 80s ever saw. The show is a hit of large-scale pieces that are well-hung, well-curated and very provocative. 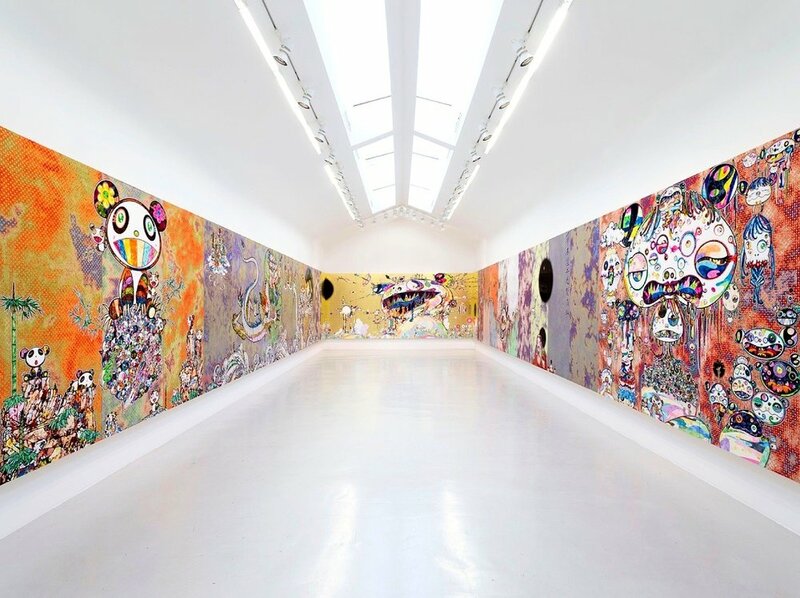 (2) Galerie Perrotin has an impressive Takashi Murakami solo show including more than 40 recent artworks that had never been exhibited before and which were beautifully distributed across the gallery’s three spaces. 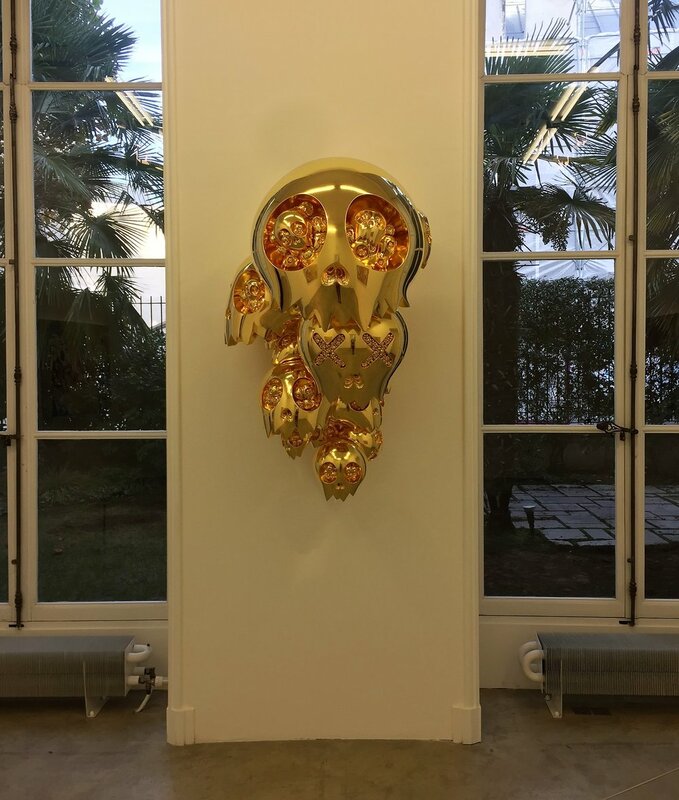 Scale, of course, is of paramount importance for Murakami, and a room with diptychs and triptychs homaging Francis Bacon, Lucien Freud and all human beings who aren’t, well, sane, seemed to swallow the spectators into the “superflat” world that Murakami has created. Freestanding sculptures, wall sculptures and smaller works were also displayed throughout the spaces. (3) On the second floor at Perrotin, New Delhi-based artist Bharti Kher presented abstract drawings, paintings and sculptures that balanced each other in a subtle way: some of the sculptures were six female bodies cast in plaster and sitting on wood stools, the bodies heavy and plump. In another room a large geometric wood composition of frames that looked like triangles pending from the ceiling created a very spiritual aura and was gorgeously juxtaposed against the Parisian light. (4) A few blocks away, the Musee Picasso opened the show “Picasso-Giacommeti” as a dialogue between these two great artists of the 20th century who were friends and influenced each other despite Picasso’s 20 years on Giacometti. The exhibition aimed at drawing parallels between specific artworks created by these two geniuses and to present them in a coherent way, either by subject matter (self portraits, the male or female body, love, death); style (figuration or cubism); or technique (charcoal drawings on paper, oil-on-canvases or bronze sculptures). The upper floors of the museum host part of Picasso’s personal art collection, which included Matisse and Miro among many others, plus some of his own stunning works that he donated for this museum. (5) The Centre Pompidou’s most important show is currently Magritte’s “La trahison des images” (The Treachery of Images), offering a very special look at many masterpieces and other less familiar works from the fantastic Belgian surrealist who was always in constant dialogue and sometimes argumentative discussions with the poets, artists and philosophers of his time (André Breton, Marcel Duchamp, Michael Fucault, among others). 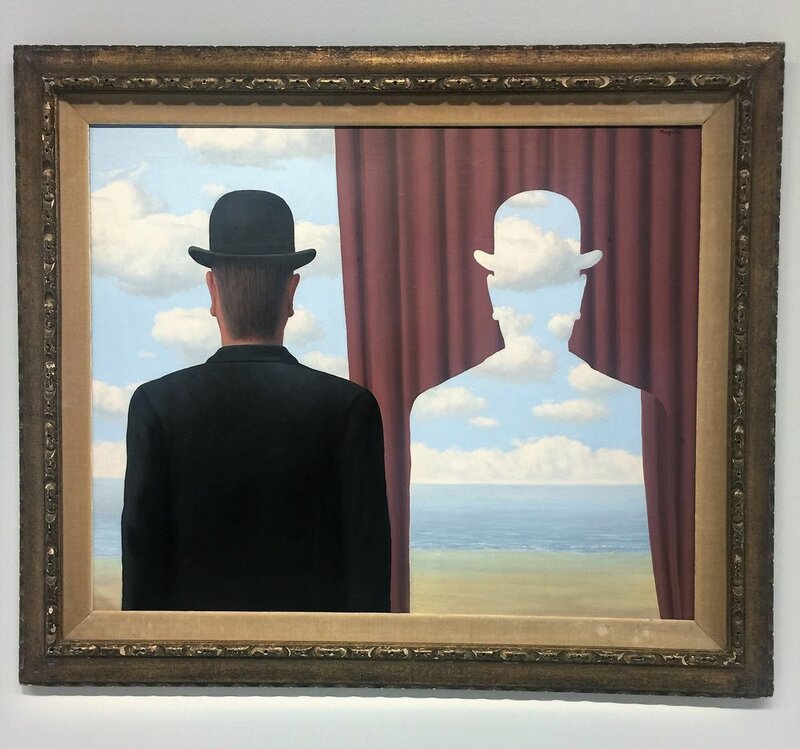 Magritte always looked at the connection of words and images, relying on sources such as the Old Testament and Plato’s Allegory of the Cave, which are woven into and ephemerally referred to in this show. (6) The Pompidou is so massive that the floor spaces amount to more than one million square feet. It can feel endless and overwhelming, but we tackled it. On the lower floors, a very interesting rotation of the permanent collection put me in front of many Warhols and Frank Stellas that I had never seen in person, as well as of one of my favorite pieces: Martin Raysse’s “Made in Japan, a Grande Odalisque," 1964. (7) Art et Liberté: Rupture, Guerre et Surréalisme en Égypte (1938 – 1948) is the first exhibition devoted to the group known as Art et Liberté: a constellation of Cairo-based artists and writers formed in the 1930s and 1940s. They have selected nearly 130 paintings, works on paper and photographs dating from the late 1920s to the early 1950s, and a large number of archive documents (historic photographs, film footage and early manuscripts never previously exhibited). These works, many of them making their first appearance, have been patiently borrowed from over 50 public and private collections in Egypt and eleven other countries. 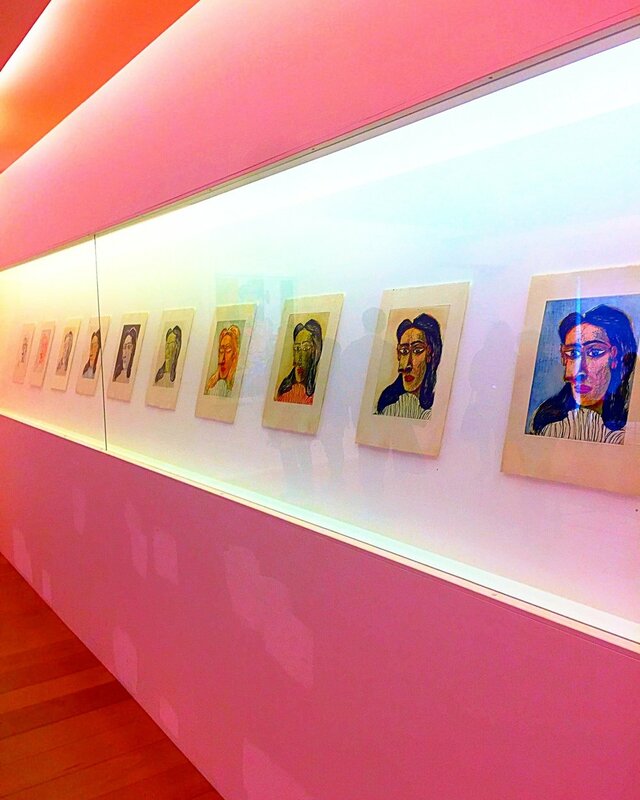 (8) There was also a show on André Breton, to commemorate the 50th anniversary of his death and which included a reproduction of his studio. (9) Also on the 4th floor, the Thea Westreich Wagner and Ethan Wagner collection which was shown at the Whitney earlier this year and comprises 150 works assembled since the 80s by the New York husband and wife collectors. (10) Kollektsia! Contemporary Art in the USSR and Russia 1950-2000 was also on view at the Pompidou: an extraordinary donation of more than 250 works of Soviet and Russian contemporary art assembled through the outstanding efforts of the Vladimir Potanin Foundation. 11) Jean Luc Moulene also showed thirty new pieces, as a manifesto for his artistic investigations. The use of technologies drawn from industrial design combined with math and the meticulous approach to materials leads to the creation of works whose precision and “rightness” are crucial to them. (12) On the more experimental side of the Pompidou there was also a show to celebrate the four Prix Marcel Duchamp finalists: Kader Attia, Yto Barrada, Ulla von Brandenburg and Barthélémy Toguo. Each one had a room for a special installation. (13) The Fondation Louis Vuitton gathered 130 impressionist and modern masterpieces ranging from Matisses to Picassos and Cezannes that were amassed by gallerist and art collector Sergei Schukin in the early 1900s and then seized and nationalized as Russian patrimony by the Bolsheviks during the Russian revolution in 1918. The collection was later broken up in different groups by Stalin’s government in 1948, and this is the first time that the most important part of what remains of the collection is shown together as a cohesive body of work. 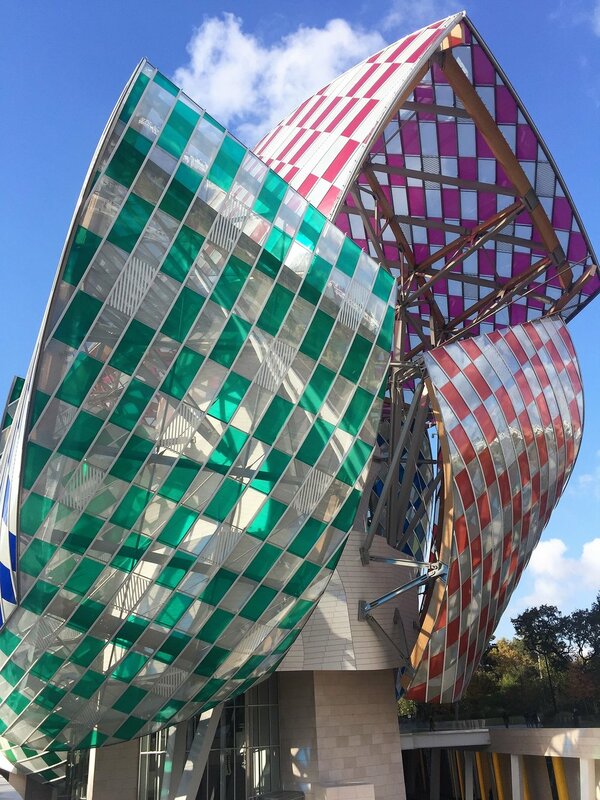 Besides being a truly impressive and beautiful collection, the building of the Fondation Louis Vuitton, designed by Frank Gehry and with interventions by Daniel Buren, is one of the most extraordinary amalgamations of art and architecture in Paris. (14) The Musee d’art Moderne de La Ville de Paris is showing a comprehensive retrospective of Bernard Buffet with more than 100 pieces, mostly large-scale ones, offering a deep view of this enigmatic artist who was underrated and misunderstood until his death. (15) On the top floor is an exhibition of Carl Andre titled “Sculpture as Place,” which is a traveling retrospective of this minimalist whose work changed perceptions of sculpture in the 1960s and whose influence continues today. (16) On the lower floors, a show about performance and visual artists Eva and Adele displayed hundreds of polaroids of the couple, neons with their faces, wallpaper with photographs of all their elaborate outfits, sculptures and even a small pink van with lights and heart-shaped portraits of these legends of the art world. (17) Next door, Palais de Tokyo, Tino Sehgal’s brings together a selection of his major works, shaped around the raw labyrinthine architecture of Palais de Tokyo. Tino Sehgal challenges conventional museum exhibition precepts by placing a central focus on social interaction, rather than the inanimate object. First, a ten-year-old girl greeted us asking what “progress” meant for us. We gave her answers while we moved around with her, then we transitioned to a woman in her early twenties who posed questions about life, marriage and kids. Then came a man who was around 30 – and I turned the tables as I was the one who started posing the questions about progress - and finally a 50-year-old man who talked to us about success in life – his and ours. 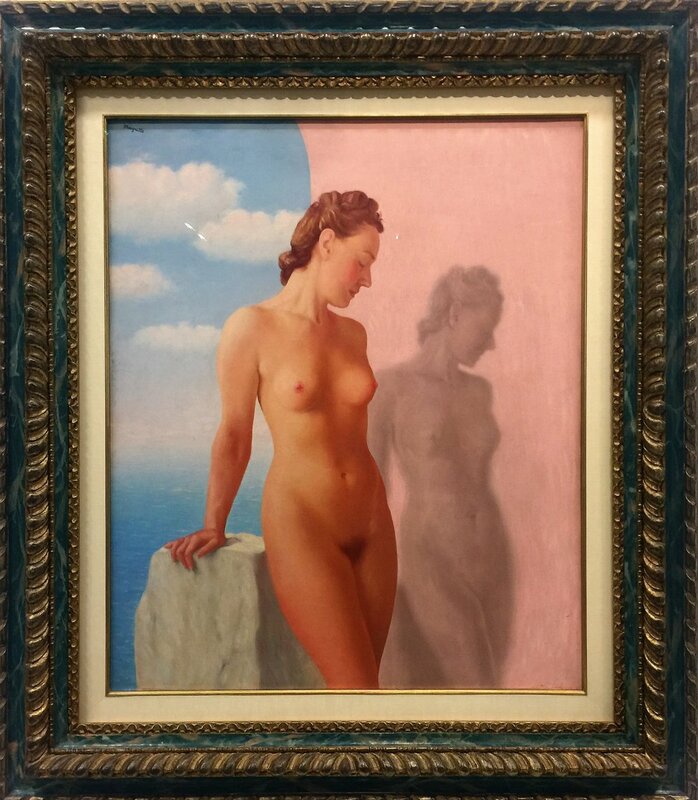 (18) Mexique at Le Grand Palais is the largest event dedicated to Mexican art in France since 1953. 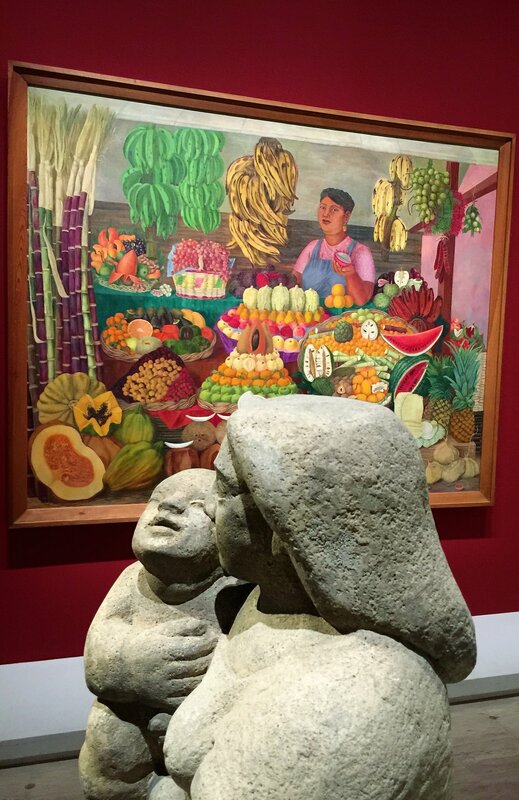 Offering a panorama of famous artists such as Diego Rivera, Frida Kahlo and Rufino Tamayo, the exhibition tour is a testament to the vibrant artistic creativity of the country throughout the twentieth century. I, loved many of the works and the ambitious scope of the show, my favorite was seeing “Las Dos Fridas”, 1939 in person, which is such a rare treat, given how little Frida painted and how much of her work is always in traveling shows around the world. (19) Maurizio Cattelan is back from his self-imposed early retirement with “Not Afraid of Love” and as always, his shows are aimed to trigger reactions and provocation through irony, humor, disgust or a combination thereof. The building of Le Monnaie de Paris is the perfect setting for Cattelan's real-life-looking sculptures, including his famous “Untitled”, 2001 self-portrait coming from a hole dug on the floor like a burglar who’s circumventing the art world precepts, and “La Nona Ora”, 1999, which is the sculpture of Pope John Paul II crushed by a meteor. Moving from room to room allowed for lots of interactions of the visitors with the works, as most of them can be seen from at least three different angles. (20) Hervé Di Rosa at La Maison Rouge was the wild card of all the shows I saw because I didn’t know who the artist was and I didn’t know I would love the show so much. The exhibition was arranged as a retrospective and mounted using Hervé’s own collection. 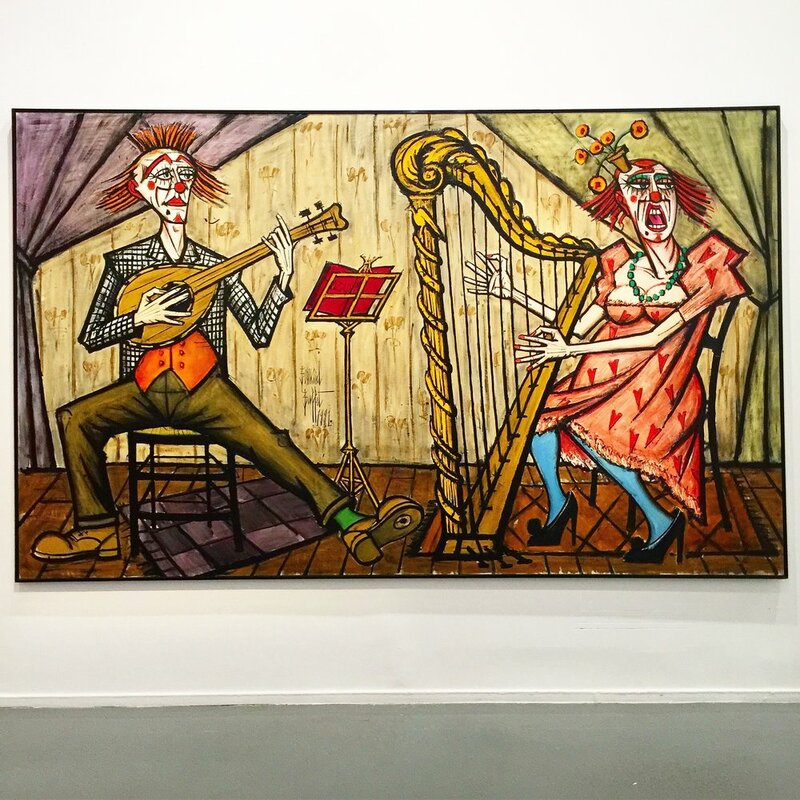 He has been a champion and a proponent of “modest art” which he says has ties with popular art, primitive art, and art brut, but is also more than that. It takes in mass-produced objects just as much as one-offs, most with little monetary value but vast emotional worth. Beyond the critic's view, the notion of good or bad taste, or aesthetic rigour, admirers of modest art are joined in a spontaneous, of-the-moment delight that is tinted with childhood memories. I loved moving from bright and colorful rooms filled with plastic figurines and paintings of toys, to dark galleries that had glow-in-the-dark canvases showing underwater scenes of marine-life cartoonish characters next to glass aquariums, to rooms assembled around cabinets-of-curiosities filled with objects collected around the world. Pure magic. (21) I think that it is hard to find a more stunning and impressive setting in a museum than the two consecutive oval rooms where Claude Monet’s most important compositions, the Waterlilies (Nymphéas) live at the Musée de l’Orangerie. I never get tired of visiting these two rooms. The subject occupied Monet for three decades, from the late 1890s until his death in 1926, at the age of 86. This series was inspired by the water garden that he created at his Giverny estate in Normandy. Monet donated eight of his most stunning Waterlilies to the French State in 1922, and which have been on display at the Musée de l’Orangerie since 1927. The whole set is one of the most vast and monumental creations in painting made in the first half of the 20th century and covers a surface area of 200 square meters. The dimensions and area covered by the painting envelop the viewer in nearly 100 linear meters. In an equally suggestive way, the elliptical shape of the rooms draw out the mathematical symbol for infinity. (22) Also at l’Orangerie, “American Painting in the 1930s, The Age of Anxiety” shows around 60 works borrowed from museums and collections all over the world emphasizing a particularly complex moment in American history when there could be no cut-and-dried definition of American modern art. Paintings from Marsden Hartley, Georgia O'Keeffe, Edward Hopper and the infamous “ American Gothic”, 1930 from Grant Wood which actually belongs to the Art Institute of Chicago, are confronting each other as if telling decisive moments in American history - many of which, especially in the realm of civil rights and issues of race, seem to be repeating itself. (23) Finally, outside of Paris, in the city of Reims (the center of the Champagne-Ardenne region), Domaine Vranken Pommery is showing "Gigantesque! ", an annual exhibition curated by Fabrice Bousteau (the editorial director of Beaux Arts Magazine), where 27 large works including sculpture, installations, neons and video by extraordinary artists such as Chris Burden, Lilian Bourgeat, Ivan Navarro and Daniel Buren are placed on the outdoors of the blue castle where Champagne Pommery is headquartered and more impressively, in the caves, cellars and chalk-pits 100 feet underground. Extraordinarily unique show, impressive, and inspiring.